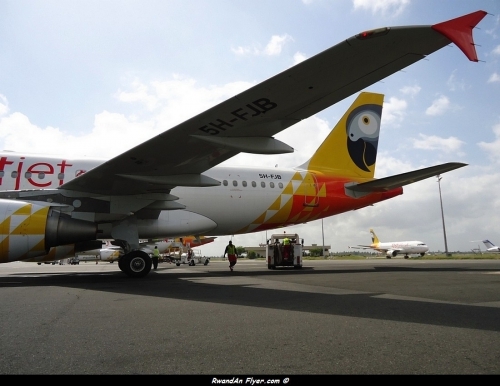 fastjet plc also announced that it has received permission from the Uganda Civil Aviation Authority to operate flights from Uganda to Juba, Nairobi, Kigali and Johannesburg under '5th Freedom; rights using Tanzanian based aircraft. Once the authorities in the relevant countries provide their approvals fastjet Tanzania will be able to offer flights linking Entebbe with these destinations. Since Air Uganda ceased flying, the fares offered by other carriers for flights linking Uganda regionally have risen steadily. With fares, starting from as low as US$50 plus government taxes, fastjet is confident that it will attract considerable customer support. Winter said: "5th Freedom rights present a fantastic opportunity to increase the Tanzanian network, increasing aircraft utilisation and also establishing the fastjet brand in Uganda without the immediate establishment of a full Ugandan base." FastJet service to Kigali, put in hold. Is FastJet is behind Lady Lori ? As Lady Lori has granted license to fly to Kigali.